Blindness and Rage is the latest addition to an oeuvre that has established Brian Castro as a prodigy of hybridity. Castro’s heritage (Portuguese, Chinese, and English) is as uniquely mixed as the generic categories of his work, such as the blend of fiction and autobiography that won him such acclaim in Shanghai Dancing (2003). 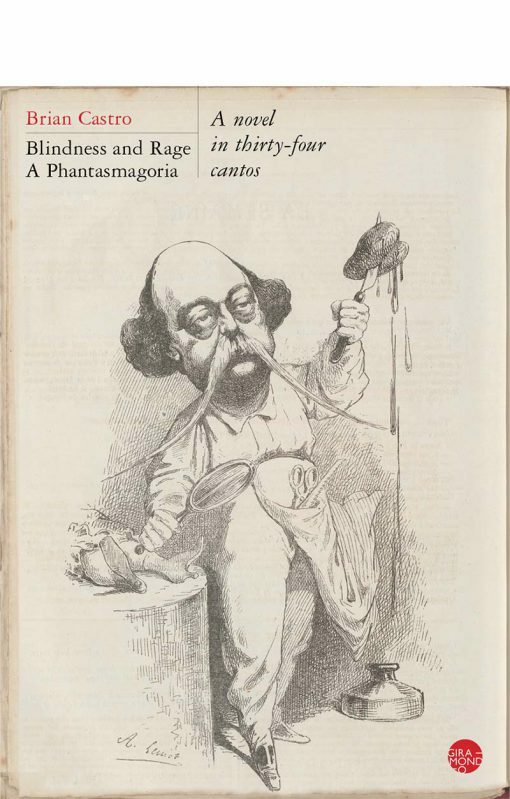 Blindness and Rage, at once ‘a phantasmagoria’ and ‘a novel in thirty-four cantos’, reprises some familiar themes in Castro’s signature style: a cosmopolitanism that shuttles restlessly between Adelaide, Paris, and Chongqing; the ludic propensities of an inveterate paronomasiac who wears his learning on his sleeve; a fascination with the vocational archetypes of the writer and the architect. ‘Vowel cancer’ is an uncharitable moniker for the lipograms with which Georges Perec (perhaps the most well-known member of Oulipo) is most readily associated, though it is the letter O rather than the E programmatically omitted in Perec’s A Void (1969) that gets disowned (in theory) by one of the Fugitives as a ‘damp squib/ defusing the presence of the I’ (92). This anxiety about the O’s dissipation of the potency of the I is a graphic joke about the ‘castration complex’ in which the author’s very name is made complicit. Indeed, playing with names has become customary in Castro’s bag of tricks; not only is Crêpe an anagram of Perec (as a number of readers have pointed out), but Catherine’s initials (with ‘the slot above her letterbox/ listed “Bourgeois, C.”’) continue the pattern of mirrored identities in Street to Street (2013), where the fictional Brendan Costa haunts and is haunted by the work of the Australian poet Christopher Brennan. For all its immersion in the heady atmosphere of what we might call (very roughly) postmodern poetics, Blindness and Rage recalls an earlier moment in twentieth-century verse experimentation: high modernism. While Kafka has exerted a consistent influence on Castro’s work, the decision to structure his novel in ‘cantos’ inevitably calls up the ghost of Ezra Pound, a fellow observer of ‘Cathay’ whose obsession with paideuma (an ethnological term denoting ‘the tangle or complex of inrooted ideas of any period’ of culture) is at the very least etymologically entwined in Gracq’s pursuit of paidia (the Greek word for unstructured or spontaneous play). [I]n Australia we play possum. As an embodiment of the hybridity feverishly imagined in various guises throughout the story, The Dogman is a totemic figure for the eclecticism of Castro’s enterprise in Blindness and Rage. A mixture of earthiness and ethereality, he conducts the novel’s energies away from the indulgent self-mortifications of European decadence towards an equanimity that is equal parts Eastern mysticism, Southern pragmatism, and animal indifferentism. After such exhaustive and (at times) exhausting cleverness, this equanimity is the closest that Blindness and Rage comes to a genuine touch of transcendence. This entry was posted in BOOK REVIEWS and tagged Brian Castro, James Jiang. Bookmark the permalink. James Jiang teaches in the English and Theatre Studies program at the University of Melbourne. He is the author of forthcoming articles on William James, Marianne Moore, and Wallace Stevens.